The 2018 legislative session is barely put to rest, but Democrats are already eyeing the 2019 session hungrily. The governor’s seat, the full House and roughly half the Senate will be on the ballot in 2018, and Democrats have a strong chance of gaining a supermajority in both chambers as well as re-electing Gov. Kate Brown. Traditionally, in presidential mid-term years like 2018, the party of the president loses seats in both state and federal legislative bodies. Many are predicting that President Donald Trump’s polarizing administration will amplify that effect. Oregon Democrats must pick up only one seat in each chamber to achieve a supermajority, which would give them the three-fifths vote required to pass tax bills. Seven representatives and two senators will not run to return to the Legislature in 2019. Some of those seats will be hotly contested. House District 52 (Hood River), House District 54 (Bend), and Senate District 3 (Ashland) are all currently held by Republicans and likely will be targeted by Democrats. This, coupled with the strong advantage that Brown will likely bring to the polls, makes 2018 a promising year for Democrats. If they achieve a supermajority, then their 2019 agenda will likely push progressive issues, especially concerning the Public Employees Retirement System and revenue reform. Regarding education, the 2019 session will be heavily shaped by the interim activity in the Joint Committee on Student Success. That committee is modeled on the Joint Committee on Transportation, which successfully passed a $5 billion transportation package in 2017. 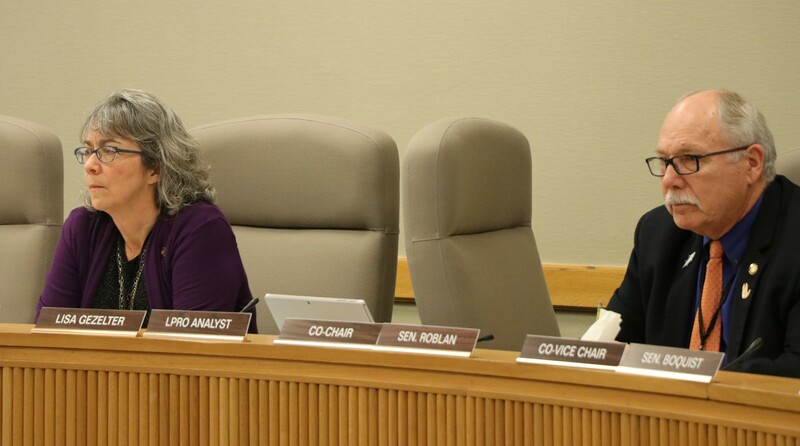 The Student Success Committee, co-chaired by Sen. Arnie Roblan (D-Coos Bay) and Rep. Barbara Smith Warner (D-Portland), will travel across the state throughout the spring, summer and fall. The committee is planning 12-14 visits statewide to hold public meetings, meet with community members and hear about local challenges to student success. One goal of the committee is to find some sort of bipartisan revenue reform package to be enacted in 2019. If any committee can do it, this is the one. Some of the most influential legislators in Salem sit on the committee, and it has the blessing of leadership in both chambers. Education issues will not be the only challenges consuming the 2019 Legislature’s time. Bills to increase environmental regulation, specifically some sort of “cap and trade” style tax on greenhouse gases, almost certainly will be back. And rising PERS costs continue to hobble local districts and municipalities. Although the Legislature and governor took modest steps in 2018, rates could spike to more than 30 percent of payroll. This situation is not tenable, and any revenue reform package will have to include cost-containment measures. Other leftovers from 2018 include repealing tax exemptions for large telecommunications companies, potential public funding of statewide campaigns, changes to the mandatory reporting law, changes to the State Board of Education, further firearms/gun regulation, and even rural broadband access. All made waves in 2018 but did not quite get finished in the compressed short-session calendar. They will likely return in 2019. The hope for 2019 is there will be more consensus and more shared benefit than has been the case in 2017 and 2018.